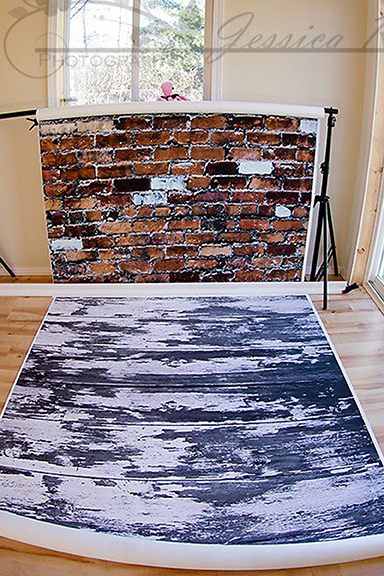 The material is a thick polyester fleece which is wrinkle free and can be printed single sided or double sided (saving you even more space in your studio!). 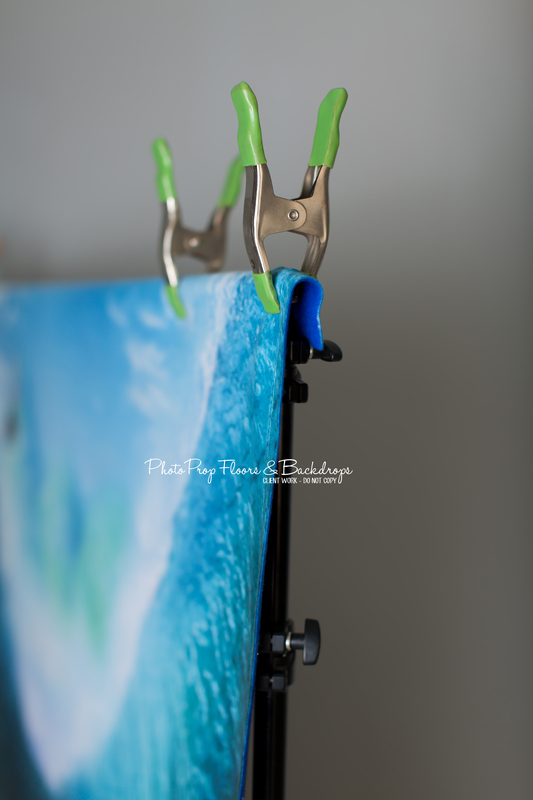 The fleece backdrops can be hung up easily anywhere using clamps or simply tack it to your wall. They are perfect for in-studio or on-location because of their extreme portability! The material is low maintenance and durable. Simply toss them to the side without worry of creasing during shoots, allowing you to move from one set up to another quickly! Fold them in between uses to save you tons of space! 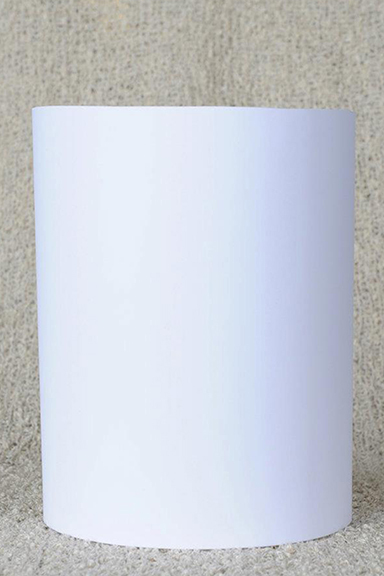 It has a 100% Matte finish and is 100% NON GLARE in ANY lighting condition. Please note: Due to the heat transfer process for the fleece, the material may shrink and measure slightly less then the dimensions ordered. 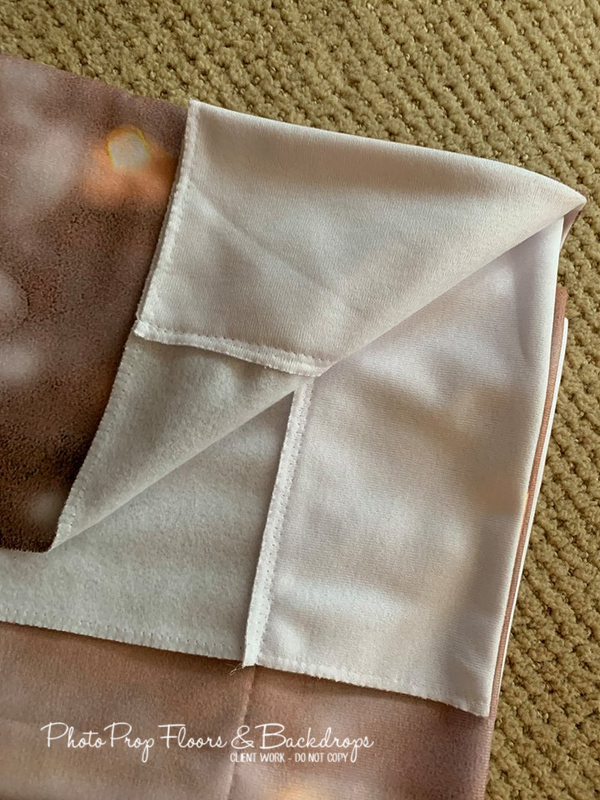 In addition, due to the heat transfer process (of applying the image over the fabric) as well as the hemming process, you will always lose a portion of the edges of the design on all four sides. Please keep that in mind when making your selections. 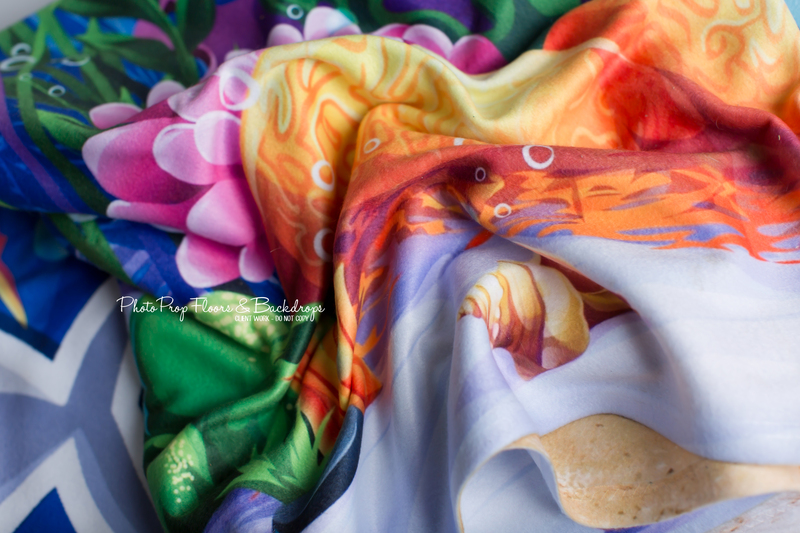 In addition, due to the heat transfer process, we cannot guarantee that there will not small printing flaws on solid-color, semi-solid, and textured prints on this material. These prints will be at your own risk. 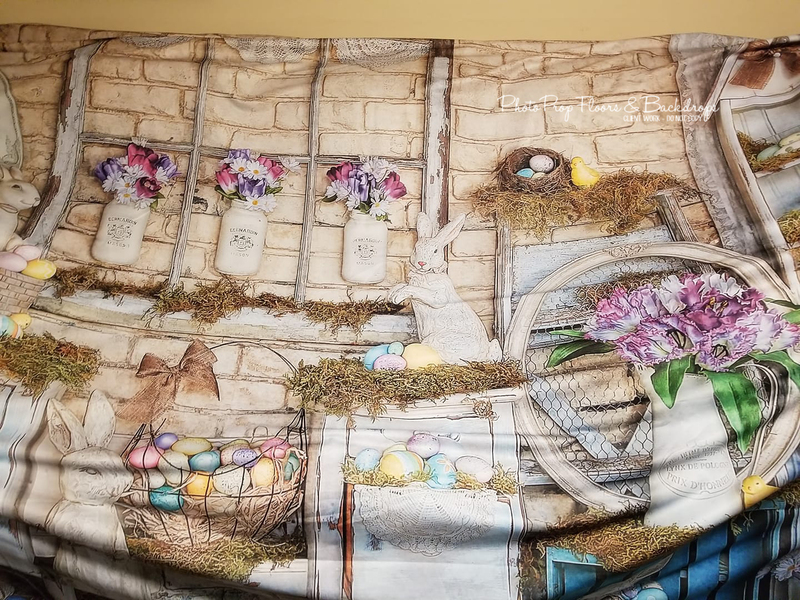 We've been getting lots of questions on where to find those awesome clips that hold your fleece (or any fabric) backdrops nice and taught on your backdrop stand. We recommend everyone grab a couple packs of these clips. ORDER HERE. The material is a wrinkle free polyester which automatically comes with a pole pocket included that cannot be removed. 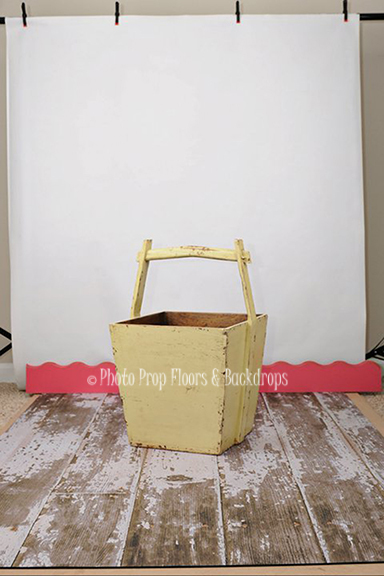 The polyester backdrops can be hung up easily from your backdrop stand with the pole pocket, using clamps, or tack it to your wall. They are perfect for in-studio or on-location because of their extreme portability! The material is low maintenance and durable. Simply toss them to the side without worry of creasing during shoots, allowing you to move from one set up to another quickly! Fold them in between uses to save you tons of space! It has a 100% Matte finish and is 100% NON GLARE in ANY lighting condition. The polyester is known as a 'heavy duty' material, it has a quality feel to it and is stiffer than fleece or sweatshirt material. It yields beautiful vivid colors. 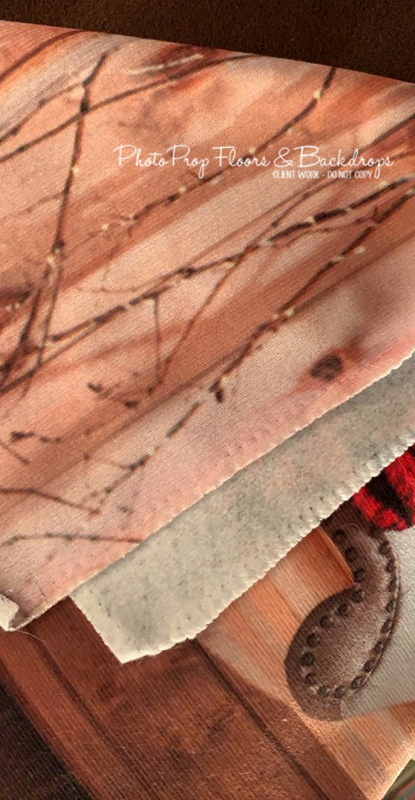 Please note: due to the printing process of applying the image to the fabric as well as the sewing of the seams you will lose a portion of the edges of the design. The material is a wrinkle free sweatshirt which automatically comes with a pole pocket included that cannot be removed. 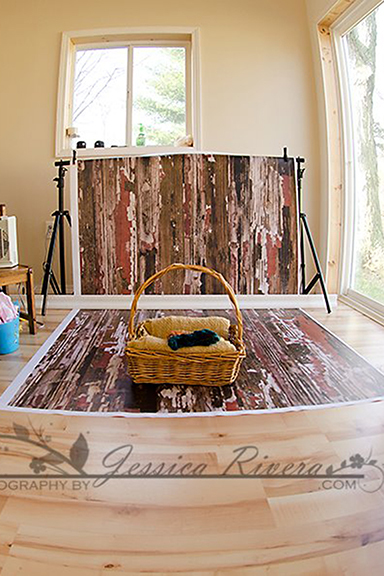 The sweatshirt material backdrops can be hung up easily from your backdrop stand with the pole pocket, using clamps, or tack it to your wall. They are perfect for in-studio or on-location because of their extreme portability! The material is low maintenance and durable. Simply toss them to the side without worry of creasing during shoots, allowing you to move from one set up to another quickly! Fold them in between uses to save you tons of space! It has a 100% Matte finish and is 100% NON GLARE in ANY lighting condition. When comparing the sweatshirt material to our fleece material you will notice it is thinner but still a great quality. 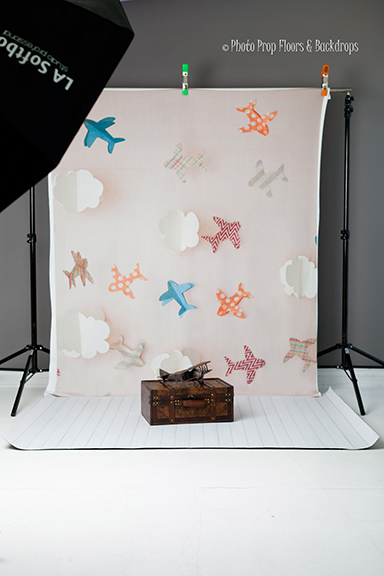 We like that you can pull it taught when hanging and the soft feel of the fabric. 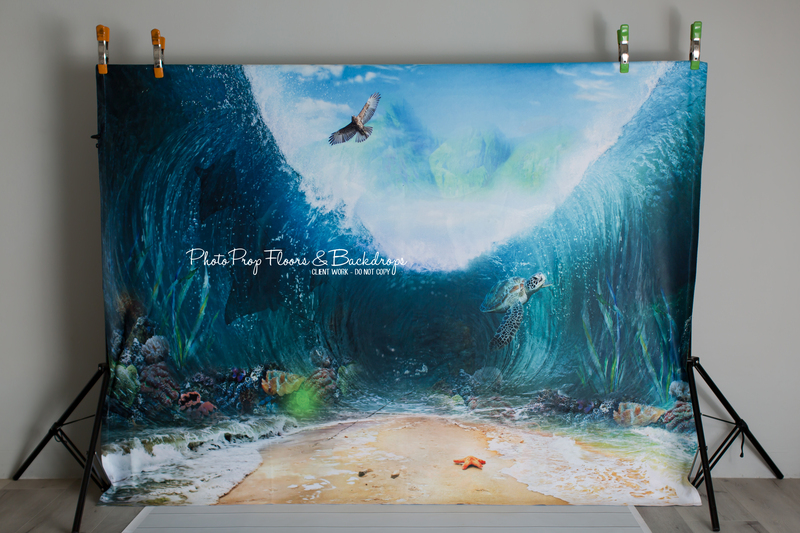 Poly Paper backdrops print beautifully on our state of the art printers. 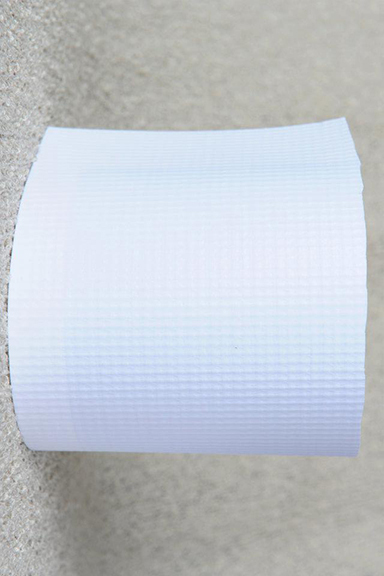 The name "Poly Paper" is deceiving because the material is not paper. 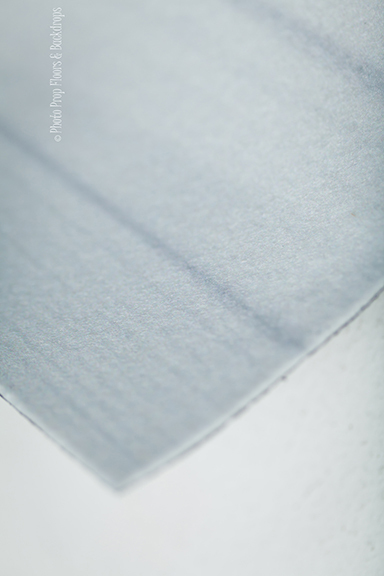 It's actually a sturdy synthetic alternative that feels/looks like a heavy weight paper. 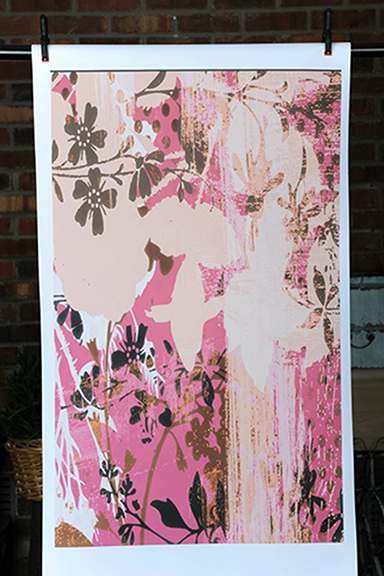 The ECO-SOLVENT ink we use allows the printed image on our Poly Paper to be 100% NON GLARE in ANY lighting condition. 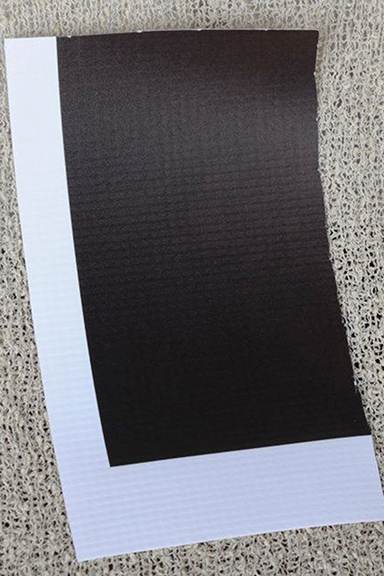 It has a matte finish and is highly recommended for our dark-colored backdrop designs! 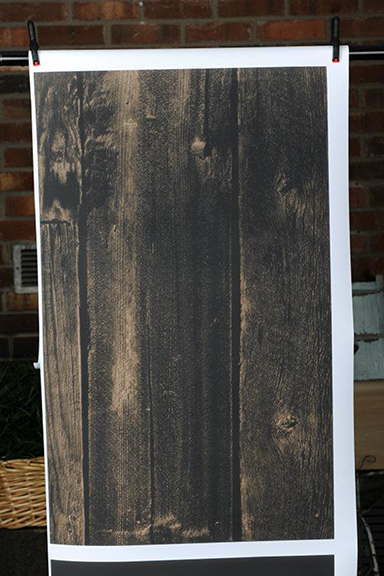 Vinyl coated canvas backdrops print beautifully on our state of the art printers. 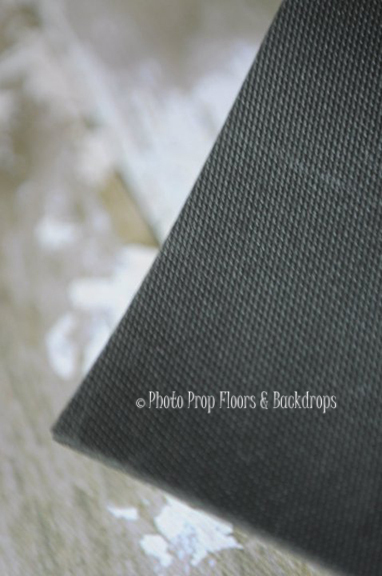 The vinyl coated canvas we use from our supplier(s) is a thick, heavy weight material that will withstand daily usage and last for years when handled with care. 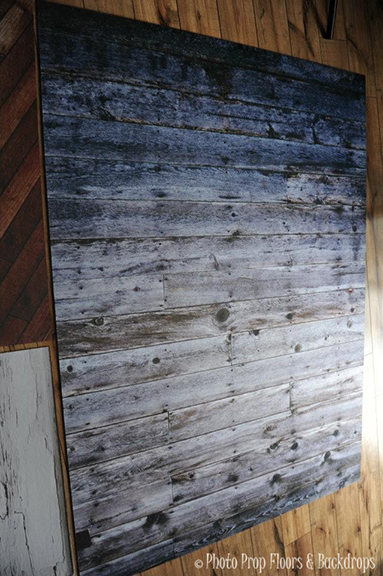 It has an ultra smooth, strong reinforced construction weaved between vinyl layers that is HIGH quality with HIGH durability. The finish is smooth and yields a superior print resolution and image quality. 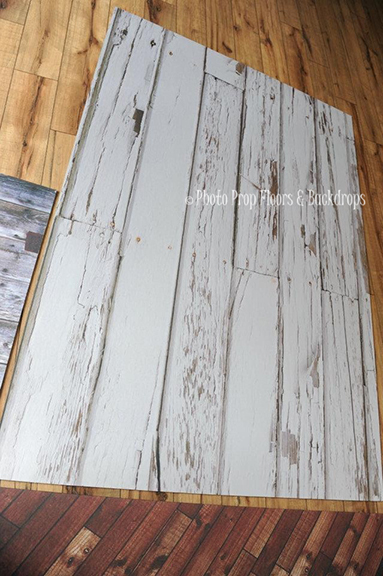 The material has a matte finish on both sides. Prints on this material are COMPLETELY WATER-PROOF AND SMEAR-PROOF due to the ECO-SOLVENT ink we use in our state of the art printers. 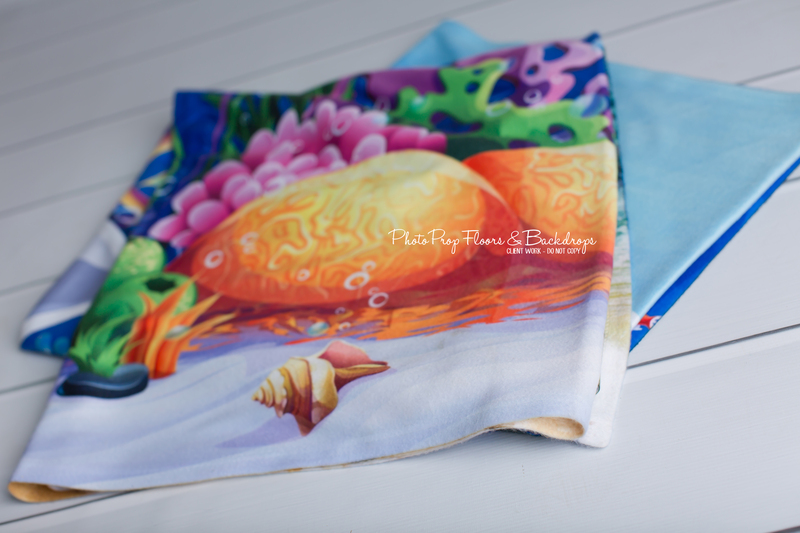 Vinyl coated canvas is easily cleaned with a GENTLE application of warm soapy water (do not use harsh chemicals or abrasive implements to clean). Vinyl can reflect studio lighting more when ordered for darker designs (if you're unfamiliar with feathering your lighting). 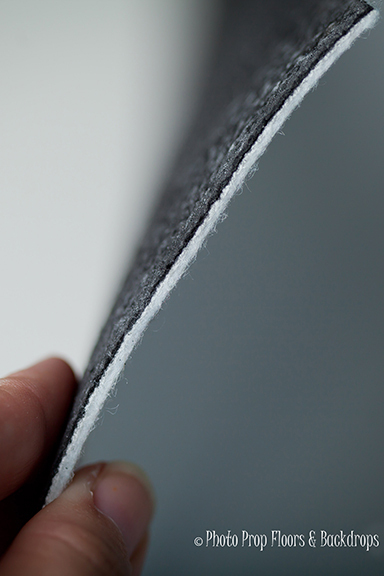 If you prefer a material that is 100% Non-Glare in any lighting condition please read about our Fleece, Sweatshirt Material, Polyester, Poly Paper and Floormat Material. 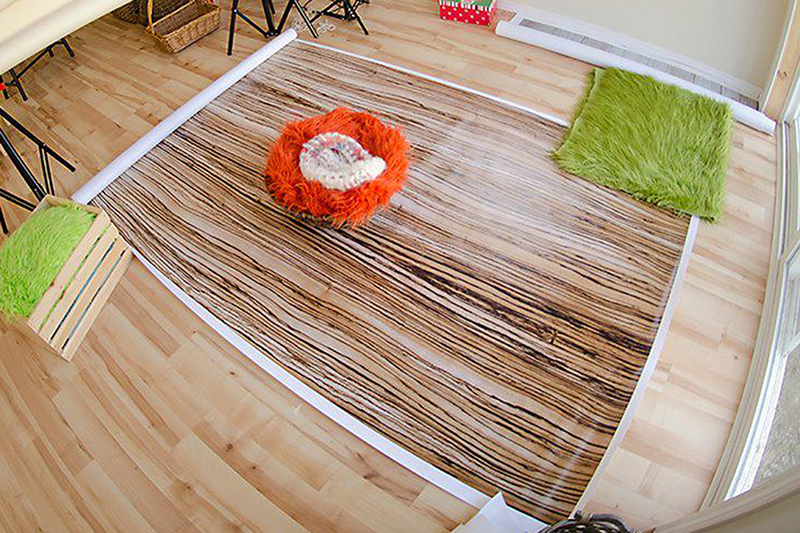 *If you order a rubber-backed floormat please be aware that they can arrive with a strong rubber odor. We suggest hanging the mat outside with the rubber side in direct sunlight for as many hours as possible. 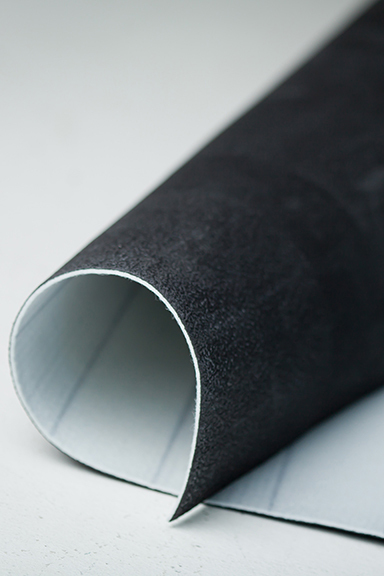 Solar heat causes rubber to release the odor (also referred to as outgassing). The smell will dissipate. To help speed up the process you can spray a neutral pH cleaner such as Simple Green (or a mix of 50/50 water and apple cider vinegar or white vinegar) on the rubber backing and then allow the mat to thoroughly air dry in the sun. You can also Febreeze the rubber as well.